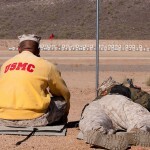 Mid-Range Rifle Competition is a format of competitive shooting that is shot from the prone supported (sling) position, with a bolt-action or semi-auto, using iron/metallic sights. 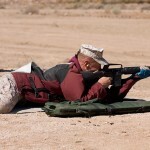 There are generally different different courses of fire: 1) 300/500/600 and 2) 3×600. 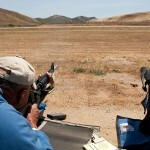 The 300/500/600 is a set of matches shot on the 300, 500, and 600 yard lines, where 20 shots are fired for record on each of the different yard lines (unlimited sighters at 300, two sighters each on 500 and 600). 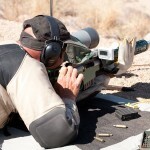 The 3×600 is shot on the 600 yard line only, consisting of three (3) 20-round strings of fire. In both formats mentioned, each string of fire is shot “slow fire”, or single loaded.